Get out of the city for the day and enjoy the nature of the Kashubian Switzerland region. While paddling a kayak along the river you’ll travel past meadows, pastures, and wildlife habitats. 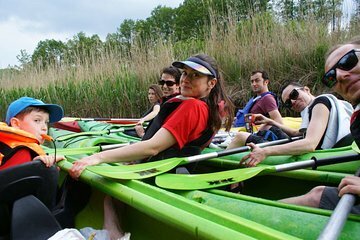 The trip is suitable for a range of fitness and ability levels, and you don’t need to be an experienced kayaker to enjoy this outing.